Although guilt is a habitual feeling I think we can choose whether or not to let it impact how we live our lives. There is a mindful way of living in the present and not the past or future. When I'm back with Ethan I am present, giving him my full, energized self. As a new mum I have made a conscious decision not to feel guilty. Our mother's group midwife said in a facilitated group session that now you've had a baby you'll feel guilty for the rest of your life. ....for not giving them enough attention, going back to work early, expressing to enjoy some drinks, deciding to stop breastfeeding etc. Although guilt is a habitual feeling I think we can choose whether or not to let it impact how we live our lives. I choose that when I'm away from my beautiful baby I want to be present to those I'm around and not distant with my mind somewhere else. This is a mindful way of living in the present and not the past or future. When I'm back with Ethan I am present, giving him my full, energized self. Through the growing network of mums I'm connecting with some had to go back to work early on. I believe being plagued with guilt is not good for them or their baby. It causes stress, resentment and lack of enjoying the moment. Guilt like jealously I have learnt is no good to anyone. Not everyone can relate to being a new mum and other examples I can think of include not feeling guilty if you have to work late and miss a training session, missing a work function because you need an early night or not being able to attend a family function. Can you think of your own examples and does the guilt serve you or others in any way? 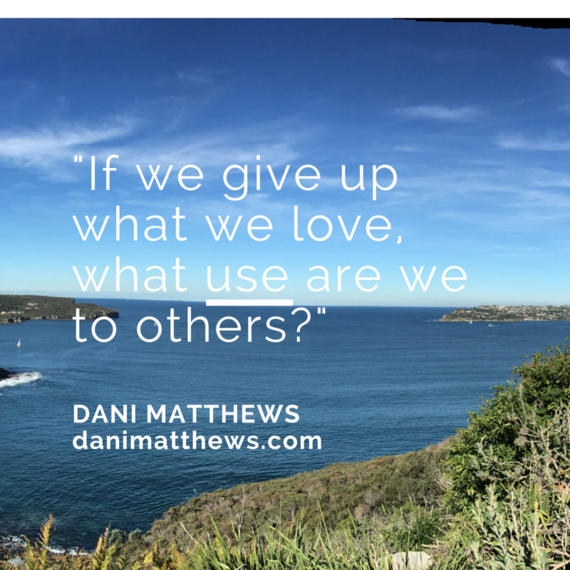 "If we give up what we love what use are we to others?" A couple of examples on choosing not to feel guilty in action. When my parents were here from the UK a few months ago we traveled up the Australian coast for a weekend away. Owain and I had excitedly planned to take our bikes out for a couple of spins with our babysitters in tow. Instead, we were greeted with a very wet weekend with dangerous conditions. The bikes remained sat looking beautiful outside our apartment and on the roof of our car for the weekend. Instead of feeling guilty that we couldn't head out we accepted that and enjoyed the time to relax with the family. I believe in finding a win in what you are able to do and not regretting what you can't. When we returned I went into the city without baby for a meeting and dinner with a friend and I felt liberated, not guilty. I knew Ethan was in safe loving hands and that those looking after him were experiencing joy. Why would I not enjoy my time away? Some may say this could appear selfish or not caring. I believe however that you need to look after yourself first to be the best you can be for others. Taking some time out to take care of myself is just as important as precious playtime with my beautiful baby. The analogy of an aeroplane's safety demo of putting our own oxygen mask on before helping others comes to mind here. 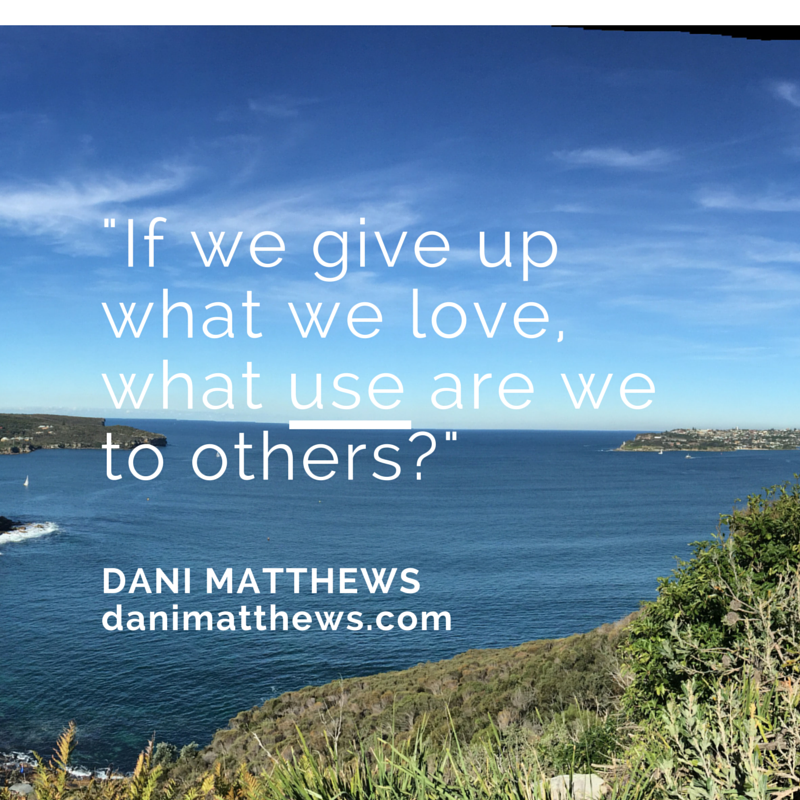 To finish I'll leave you with a question.... Are you having enough guilt-free time to be the best version of yourself?